A particularly noticeable difference between private and state schools is the way in which they approach and enforce discipline and rules. Quite apart from the fact that by their very nature smaller classes are easier to control, the majority of private schools place special emphasis on discipline, not only to create a calm environment conducive to learning, but to maintain a distinguished and dignified atmosphere. Maintaining discipline in school isn’t just important if your child has discipline problems, well behaved children could really suffer in an environment where troublesome peers are disrupting their learning experience. 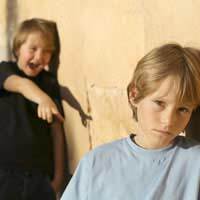 A major problem that often occurs in both state and private schools is bullying. Over the course of your child’s formative years there may come a time when they are involved with bullying in some way, whether they be the victim, the perpetrator or simply a classmate stuck in the middle. Bullying can have a massive impact on a child’s life, affecting their learning, their social life and having a lasting effect on their confidence. While any school worth their salt will make every effort to curb levels of bullying, there tends to be less control over it in state schools. This is largely to do with the lower teacher to student ratio, but is also due to the fact that state schools are bound to a certain process of discipline, whereas private schools are freer to focus on individuals and adopt methods that they find work for them. This means that they put a stop to bullying when it is brought to their attention, and will not hesitate to exclude a pupil from school if necessary. A policy adopted by many private schools is that of zero tolerance. This is not usually to be taken literally, but basically means that if your child doesn’t meet their standards in terms of discipline, then they are out. With cases such as truancy, pupils will usually be given a few chances, many schools adopting a three warning system before resorting to suspension or expulsion. With more serious offences, such as failing a drug test, or serious cases of violence, a lot of schools will not give the benefit of any chances, and will expel your child on the spot. Many private schools are kind enough to refrain from actually officially expelling children, but politely ask them to leave. This policy comes with both its advantages and disadvantages. Students with a certain level of respect for both themselves and their parents are horrified at the thought of being asked to leave their school and therefore behave accordingly. When parents have spent a large sum of money on their education, the thought of letting them down and losing their investment is enough to encourage them not to take any risks. However, more troublesome children may simply not care about their parents or the stigma of expulsion, and so actually take advantage of the policy and use it to escape as soon as possible.